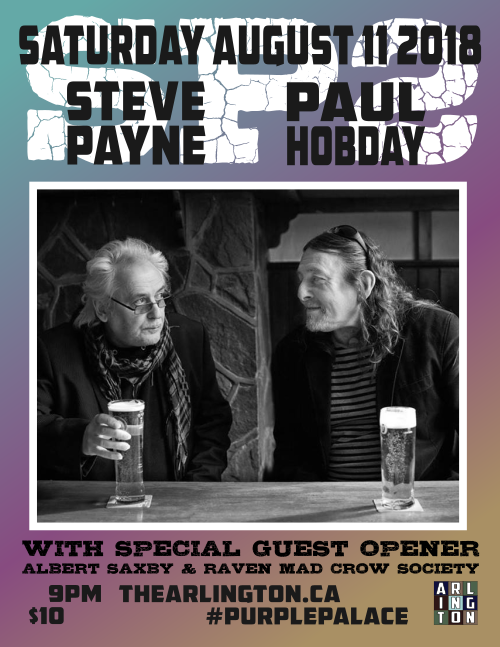 SP2 is the two-man line-up of Steve Payne & Paul Hobday, a powerful roots/blues/boogie duo, playing original compositions, currently appearing throughout Europe and the UK. Variously described as one of the UK’s most unique and versatile guitarists, Steve Payne is also feted as a talented and non- predictable singer-songwriter, multi-instrumentalist, wordsmith and story-teller. In 2010, Steve teamed up with Paul Hobday, a Westcountry “gun for hire” guitar player to form a powerful duo who have toured extensively in Europe and Ontario, Canada. After recording a new studio album, “Raise A Glass” Payne and Hobday are returning to tour Canada, both as a duo and also as SP3, with Yardbirds and Nine Below Zero harpman Billy Boy Miskimmin.